SEOUL, Oct. 30 (Yonhap) -- North Korea said Monday it will launch more satellites as any sovereign country has the right to develop a space program amid speculation that it is preparing more provocative acts. North Korea will place into space more satellites, including a stationary one, in accordance with its five-year space development program as it seeks to improve its economy and people's livelihood, according to the Rodong Sinmun, the main newspaper. "Some countries have manipulated U.N. sanctions resolutions against us and hindered the sovereign country's space development. It is not a tolerable act," the newspaper said. "It is a global trend that a country seeks the economic growth with the space program." The claim is seen as North Korea's attempt to build the case for its possible launch of a long-range rocket. Pyongyang fired a long-range rocket in February 2016 following one in December 2012. 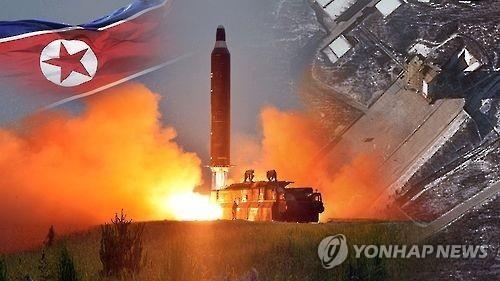 The Voice of America recently reported that satellite imagery showed two new buildings were spotted some 30 kilometers west of the Dongchang-ri launch site in its northwestern province. North Korea has refrained from provocations for more than a month after its sixth and most powerful nuclear test on Sept. 3. Outside experts said that North Korea's purported launch of a satellite is widely seen as a covert test of ballistic missile technology. North Korea is banned from developing ballistic missiles under a series of U.N. sanctions.